For my performance what will try to be implemented are the use of dummy clips. Dummy clips are clips in Ableton, which trigger an effect such as EQ, reverb and compression to a clip that has been created. The use of dummy clips is used by an Ableton certified trainer called Tom Cosm. As Cosm states ‘The whole concept behind a dummy clip is that it sits over an audio track, doesn’t actually play any audio whatsoever, but it still allows you to change parameters within something that is on that audio track’. By including the use of dummy clips in my performance I hope to create a performance that shows off the technology in Ableton and is something that can add to the whole feel of the performance too. For my live performance I will be playing a Roland V-Drum, drum kit. Instead of using the drum kit’s own presets, I will be using my own presets of different sounds. What I plan on doing is creating and editing sounds on Logic X and then transferring them onto Ableton 9. Ableton 9 will be used as it is a well-known digital audio workstation to use when performing live. Ableton has an interface, which is easy to navigate when playing live as well as having easily assignable and customisable editing features, when used with MDI. 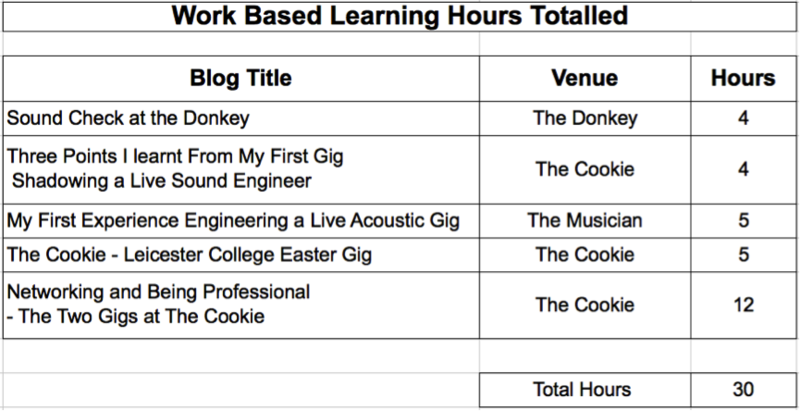 This is a table showing the total Hours I have spent shadowing and gaining experience in being a live sound engineer. These were my final gigs that I went to in terms of shadowing for my work-based learning. The first gig was on the 2nd of April and the next gig was on the 3rd of April. With both gigs I was able to help straight away as I was comfortable with the venue and knew where most of the equipment was, for example cables, microphones, microphone stands. This was helpful to know as it made the set up of both gigs easier, calmer and more efficient. On both occasions we started setting up equipment at 5:00pm (with doors opening at 8:00pm on both gigs) and had set up everything we could such as doing mic checks and testing the monitors, by 6:30pm. On both occasions we were waiting for the bands to arrive for at least 15 minutes after we had set up everything. With the first gig I was shadowing an engineer that had been working part-time at the Cookie for a couple of years and with the second gig I was shadowing an engineer who had 25 years experience in live engineering. However even with the difference of experience between them they still showed professionalism in their jobs, which was apparent when the bands turned up. On both occasions the first thing they would do is greet the bands and welcome them to the venue if the band hadn’t played there before. As the bands that were playing were experienced musicians they were professional and polite, which made the sound check run smoothly. As can happen, there were some problems, with either microphones or cable connections but they were dealt with before doors opened. After both gigs had finished both engineers were talking to the bands and some that had played as well as audience members, while I put the equipment away. In this instance it could be mistaken that I was doing all the work, putting things away, while the engineers were chatting to the bands. However I was more than willing to do anything I could to help and that if I was to engineer a gig by myself I would need to get used to setting up and packing away the equipment for the gig on my own. Furthermore the engineers weren’t just chatting to bands and audience members for fun but instead networking. I knew this because once I had put the equipment away I was introduced to some of the bands and audience members by the engineers on both nights. This was a vital skill that I knew would be good to do at every gig, as networking is what can get you your next job. 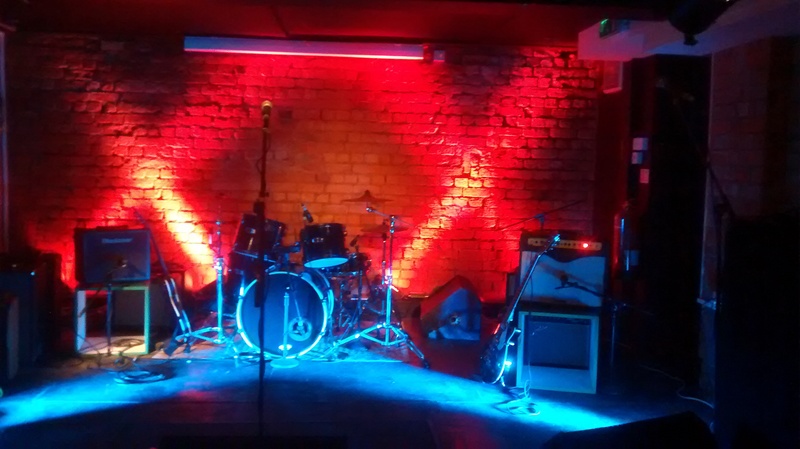 Having the experience and meeting new people I otherwise wouldn’t have done on he night made me realise that one good gig could open doors to many more meaning every gig is as important as the next one, so networking and being professional can pay off in the short an long term of being a live sound engineer. There was a lot less to prepare with the second gig as the acts were just singers and guitarists with the final band having a percussionist. These were two short videos taken from the first gig. The levels were good on the desk and the sound was clear and loud from the front of house speakers. Most importantly the crowd were enjoying the gig and there were no complaints. For the event, I helped set up the microphones and connect the cables as well as making sure everything was tidy. There was around half an hour to set up the equipment, which was less than planned so efficiency and speed was key as well as the need for safety with cables coiled neatly so there wasn’t any slack, where someone could trip over. Setting up the equipment before the gig. Making sure the front of the stage was clear of cables as to make sure people wouldn’t trip. 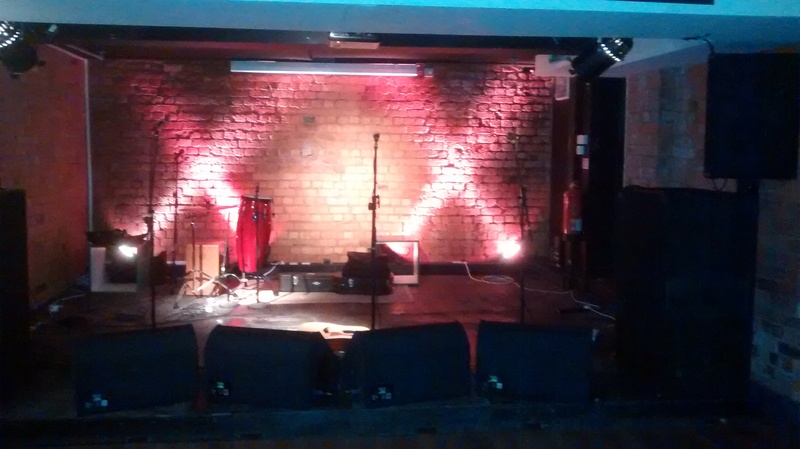 The gig was an acoustic gig for Leicester College so was similar to the Easter gig Leicester College gig but played with only acoustic instruments. With this gig I was given the opportunity to actually work the mixing desk. This was party due to the musicians being from Leicester College, so there wasn’t as much pressure, but mainly because it was an acoustic gig. With this gig half of the bands playing, were just singers and acoustic guitarists, which meant my job wasn’t too difficult. When starting out as a live sound engineer, being the front of house engineer for an acoustic gig is definitely a good starting point. This is because there is less to worry about, for example there’s more likely going to be a solo performer that sings and plays guitar so there will only need on be two tracks set up on the desk. 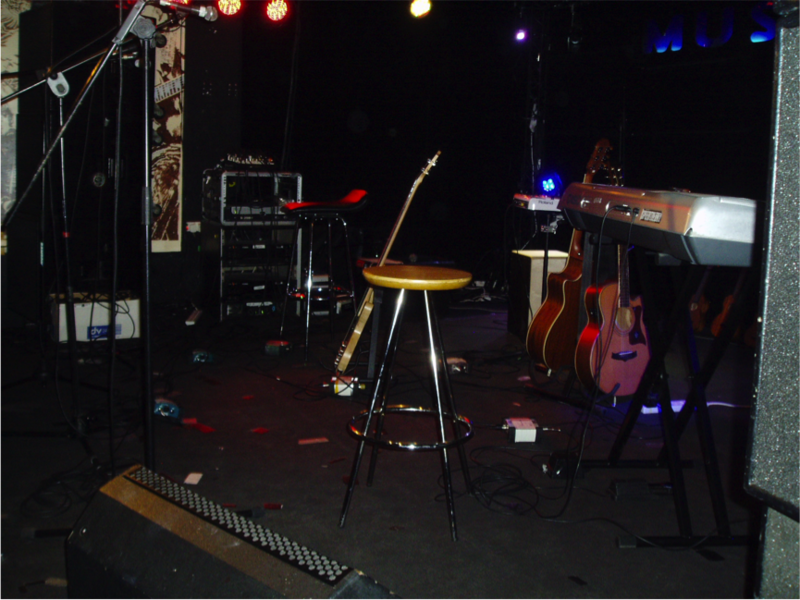 Generally setting up the stage will take a shorter amount of time compared to a rock gig because there wont always be the need to set up guitar amps and drum kits but instead DI boxes for acoustic guitars. Another reason is that its easier to mix an acoustic act as there only a few sound sources so there wont be instruments covering up the sound of other instruments through the main P.A. This is what I experienced from working the desk for an acoustic gig compared to what I saw when I shadowed a rock gig, as well as working the desk at the Leicester College Christmas Gig. As with any gig there’s still chances of equipment not working, which is what happened during the gig, with one of the DI boxes not working half way through the show. In this case its can be said to almost be a good thing that things can go wrong even in acoustic gigs because it gives you experience in dealing with the things that can go wrong and learning from mistakes that can be made. 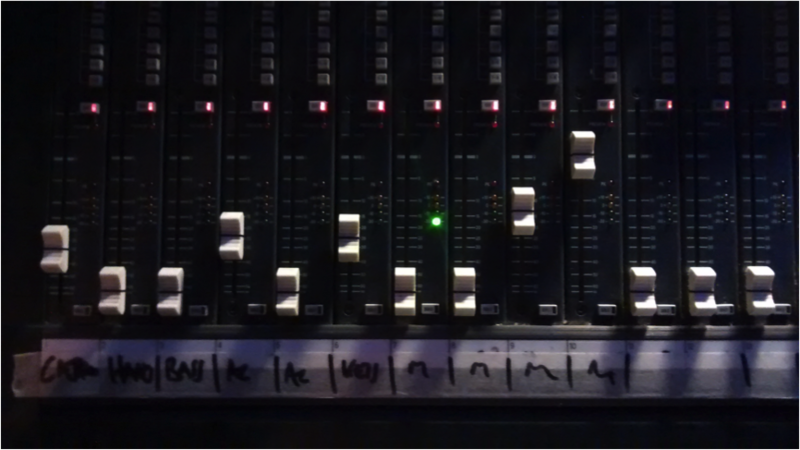 One thing I learnt was not to move the faders and gain knobs to quickly whilst the act is playing. Although I moved the faders slightly it can be quite obvious to hear with acoustic gigs, as there are only a few sound sources to focus on from the front of house speakers. (I did the engineering for part of the gig to gain experience in working the desk. Having to mix an acoustic act of two singers, with one of them playing guitar was a good starting point to get a feel of working the desk and using the faders). This was the first time I had been shadowing an engineer at The Cookie in Leicester this academic year (November 2014). As this was my first real look at how live sound engineering works I was watching exactly what the engineer did. From turning on the sound system to how the engineer communicated with the bands and how he dealt with problems. 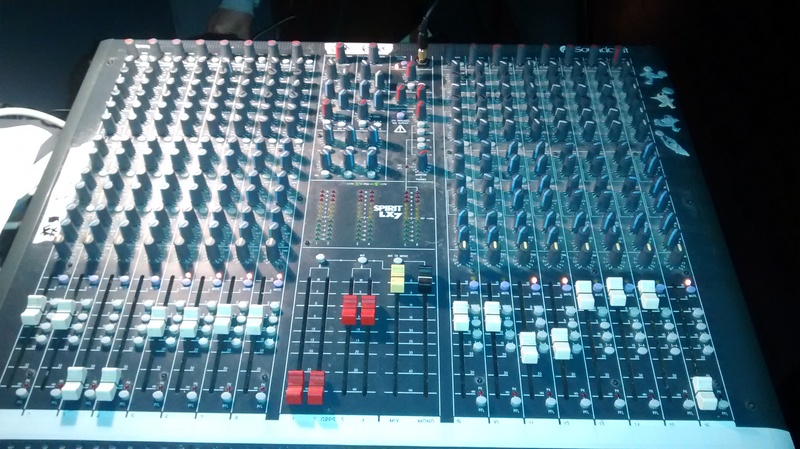 The mixing desk needs to be turned on before the speaker amps, and when switching everything off, the speaker amps need to be switched off first before the mixing desk. This sounds like an obvious thing to do, but forgetting to do so can ruin the whole gig. If you happen to forget the amplifiers and speakers switched on at full power and you switch the desk on, the speakers could blow, which would make them dysfunctional. All the channels need to be muted and all the knobs turned to zero before starting the sound check and after the gig has finished. Similar to the first point, everything should be turned down before plugging any equipment into the desk before the sound check as not to damage equipment. Also everything must be zeroed after the gig so that whoever uses the mixing desk next wont damage the speakers or other equipment. Another reason is so the next engineer wont have to waist time setting everything to zero for the next gig. The amplifiers should be turned to full power. This is done because amplifiers work best, at maximum headroom. Another reason for doing this is because it helps with the gain structure and control, with the amplifiers turned up to full and the master channels and input channels zeroed, meaning the gains on the channels wont need to be turned up too high. What this also means is that faders can be turned up to 0dB and there will be no distortion from the main mix. Furthermore faders are at their most responsive at 0db, so the mixing can be done subtly by the sound engineer. 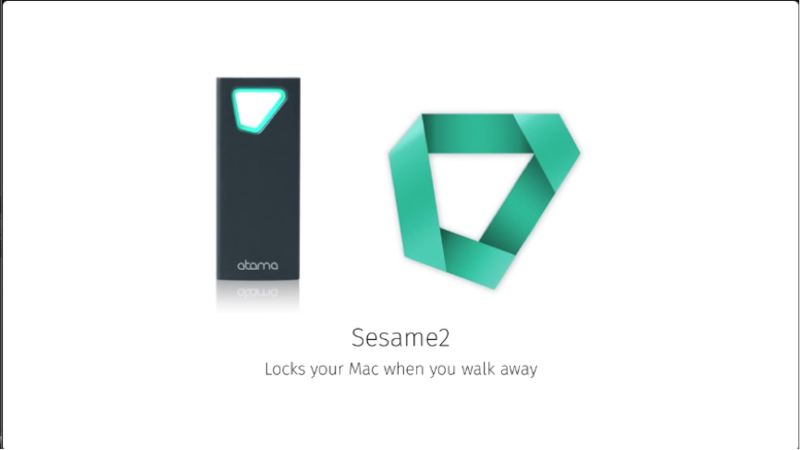 I have completed putting music and sound to the corporate video for the Atama Sesame product. I have taken inspiration from the ‘Apple – Making the All New Pro’ video, which gave me ideas on how the product wanted to be seen. With the music, there was the decision of deciding whether to use acoustic instruments such as; violins, cellos, acoustic guitars, cymbals, glockenspiels etc. 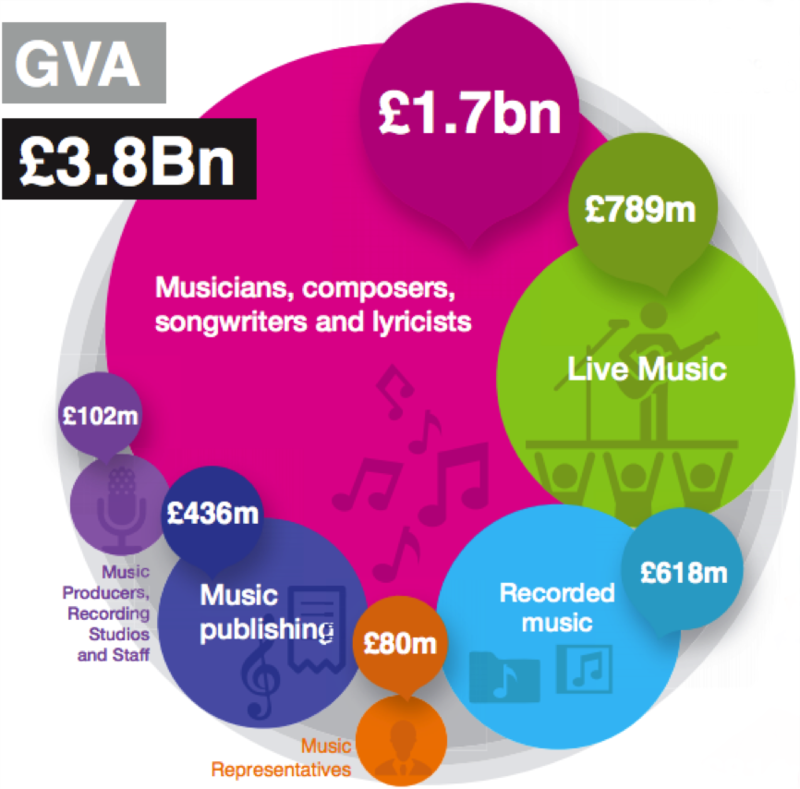 or whether to use more digital and electronic instruments such as; synthesisers and drum machines. I decided on using, both acoustic instruments as well as synthesisers and drum machines. This was because I wanted to give the video an authentic feel using the acoustic instruments as well as giving the product a digital feel with the synthesisers and drum machines. A sound that was used often used was multiple handclaps. This was inspired by the Apple video, which gives a happy and upbeat vibe with the claps changing in rhythm to give a sense of unity and joy. The structure of the music was progressive, with instrumentation added as the video progressed. The points at which the instrumentation was added were at sink points such as when the laptop turns on automatically, when the person returns to his desk or clip showing the dimensions of the Sesame product. The sound effects used were from Freesound.org, which provided sounds like computer mouse clicks and office background noise to give a sense of atmosphere. With this gig I set myself the target of finding out what problems can arise when dealing with less experienced performers and how to deal with them. When engineering live gigs at small venues or pubs, a sound engineer will always come across less experienced bands at some point. As a sound engineer, you have to be a lot more focused on the job. This is not to say that a sound engineer isn’t usually focused on the job at hand but in this case there’s a lot more chance for a problem to occur, which means the engineer needs to be quick to react. 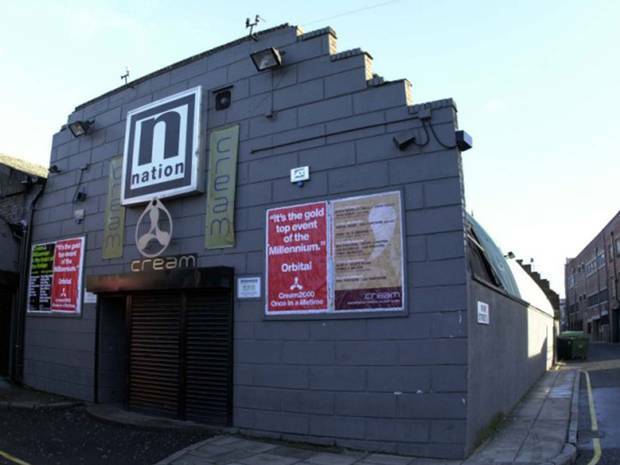 For this gig, the musicians performing were from Leicester College. For some it was there first year at Leicester College so hadn’t had much experience of performing live, whilst others were more comfortable on stage. Once the equipment was set up safely, the sound check took place. From the sound check the first problem arose, which was the singer wasn’t loud enough. This was to do with a lack of confidence and how far away she was singing from the microphone. Of course doing a sound check isn’t the same as performing and in some ways, it can be more daunting then the actual performance. With the sound check there are usually people staring at you as you repeat the same part of a song over and over, which can make you feel silly. I know this from experience, as being a drummer doing gigs, so being the singer at the front would be understandably more difficult with less experience. This is the feeling I got from this sound check. As the sound engineer, you have to boost the performers confidence so you can get the best sound out of them before the show so that the sound levels are good. With this sound check the vocals were turned up to +5dB as well as the vocals channel being sent to two mix buses also with the faders at +5dB with only one light of signal being shown on the desk. The rest of the band was drowning the vocals out even with only the amps on stage turned on and the acoustic drums not coming through the front of house. With this situation, there wasn’t a lot that could be done to help the singer apart from her actually singing louder. The cable to the microphone was swapped as well as the microphone itself, to see if it wasn’t working properly but there was only a slight difference in volume from the troubleshooting that took place. 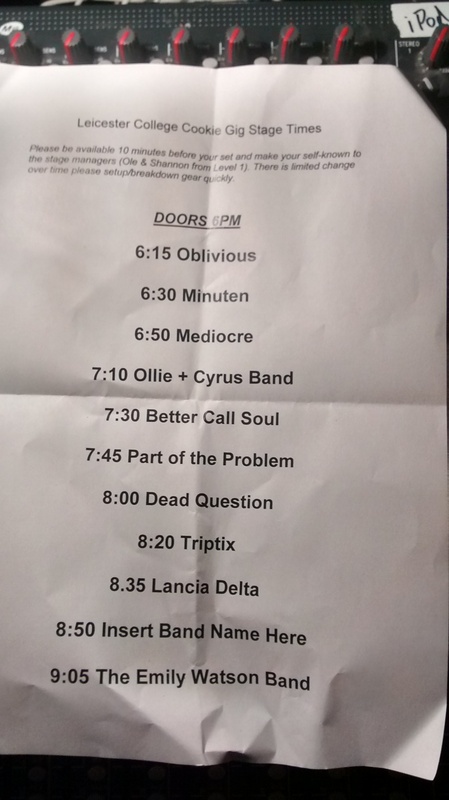 As is generally the case, time was against us, with other bands needing to be sound checked. When it came to the show starting the bands were louder than they were with the sound checks. The singer who was quiet at sound check was louder, which meant the vocals were clearer and could be heard above the rest of the band. This was through the confidence and adrenaline from performing in front of a crowd and friends. However, with her new found confidence she started holding the microphone with half her hand covering the mesh grill rather than the handle, which made her quieter and less audible. Once the song she was singing had finished she was told to hold the microphone from the handle and sing as close to the microphone as possible. To conclude, when working with less experienced performers there are generally more problems that occur as well as a poorer sounding show altogether. In this case, the engineer needs to be ready for anything to happen whether on stage or mixing from the desk.